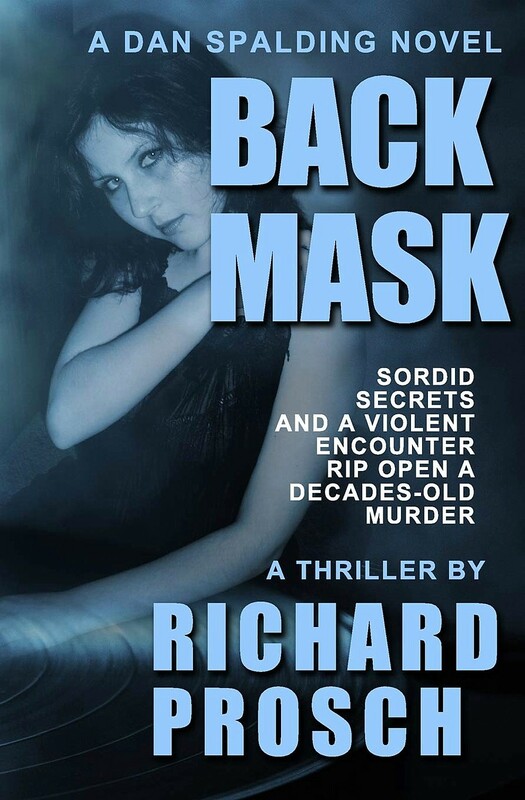 Dan Spalding, former State Police investigator and owner of Spalding's Groove, a vintage record store he inherited from his late brother, is back in BACK MASK, the third novel in this fine mystery series by Richard Prosch. As most of Dan's cases do, this one involves a record that someone wants to get their hands on, an old gospel recording by the former pastor of the local mega-church, who has passed on but left his son, who has political ambitions, in charge of things. In trying to turn up a copy of the album, Dan is attacked, as well as an old friend of his, and he discovers that there may be some sort of sinister message embedded in the album if it's played backwards (the back-masking of the title, which is also clever because some readers . . . coughs, raises hand . . . can't help but think BLACK MASK when they look at that title, BLACK MASK, of course, being the most iconic hardboiled detective pulp of all time). But I'm wandering off into the weeds here. 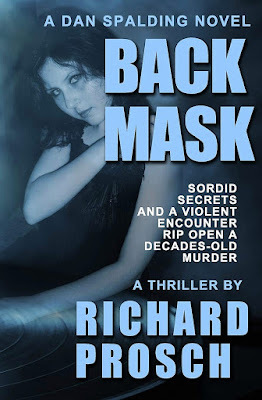 BACK MASK is the best book in this series so far, with echoes of Ross Macdonald in the plot (secrets of the past affecting the present) and Robert B. Parker in the great dialogue and the characterization of Dan and his friends. Plus the setting, the tourist town of Ozark City, is always interesting. There's also a very good dog in it, always a bonus where I'm concerned. In the short space of a few books, this has become my favorite current mystery series. Reading them in order isn't absolutely necessary, but I'd certainly recommend it. I give BACK MASK and all the Dan Spalding books a very high recommendation.